If you happen to be a parent of a teenage girl or if there are teen girls in your life, you know that finding the right gifts for teenage girls is a real challenge. Gone are the days when they were so easy to please with dolls or stuffed animal toys. Now they themselves often don’t know what they want! So how are you supposed to know what kind of gift will be spot-on? Sure thing, you could just get them the first present that catches your eye and be done with it. Unfortunately, this option is good only in two cases. The first being you don’t care at all and the second, you don’t mind dealing with all the drama. So unless you are okay with this, do try to look for something that is truly special. Mind you, not special for you, but special for the specific teenage girl you want to give a present to. But how can you be sure that a gift you choose will be special? How can you make it stand out? Finally, how can you make it really meaningful for that teenage girl in your life? Here is some advice that can help you make your choice. 1. Learn more about interests, hobbies, and aspirations of the teen girl in question. Yes, these may change as fast and often as current fashion/pop-culture trends do. Still, there must be something that makes her heart beat faster. Don’t think in terms of general youth culture; not all teenage girls like the same things. So try to find something that speaks volumes to her in particular. 2. Make sure your gift has special meaning to it. Your gift will be all the more precious and relevant if it has some emotional value. It may be something that represents cherished memories, something that speaks to her personality and values. Teen years is the time when meaningful creativity flourishes. The overwhelming majority of teenagers love to be creative in this way or another. So why don’t you support your teenage girl’s creative efforts with an appropriate gift? 4. Give her something that can be actually useful. Yes, there are things that are all the rage for youth culture. If you’ve heard about fidget spinners, slime, and/or squishies, you know what we mean. However, gifts like these prove to be virtually useless. Chances are, your teenager will forget about them in a week or a month. So give them something they can actually use, day after day! 5. Say no to bland things. Whatever gift you choose, it must have a distinct style to it. Color, form, shape, design – all this matters! Once again, you have to know what this particular girl likes in order to make your present truly unique. 6. Think out of the box. Who said there has to be only one gift? There’s no rule against giving teenage girls several small gifts instead of one. For example, a jewelry set or a makeup/beauty set might do nicely. Yes, that’s right – just ask what she really wants to get as a gift and make her wish come true. After all, not all teen girl gift ideas must involve a lot of guesswork and legwork. All that being said, don’t think that a gift for a girl in her teen years will put a dent in your budget. Rest assured that there is plenty of unique teenage girl gift ideas that are quite affordable! To prove this to you, we’ve made a list of awesome gifts for a girl that won’t make you want to rob a bank. Remember we mentioned gifts that inspire creativity? Here you have a great example of what gifts of that category must be like. There is just no better way to introduce that teenage girl in your life to art journaling. Clever, colorful, creative, helpful are just a few words to describe it. 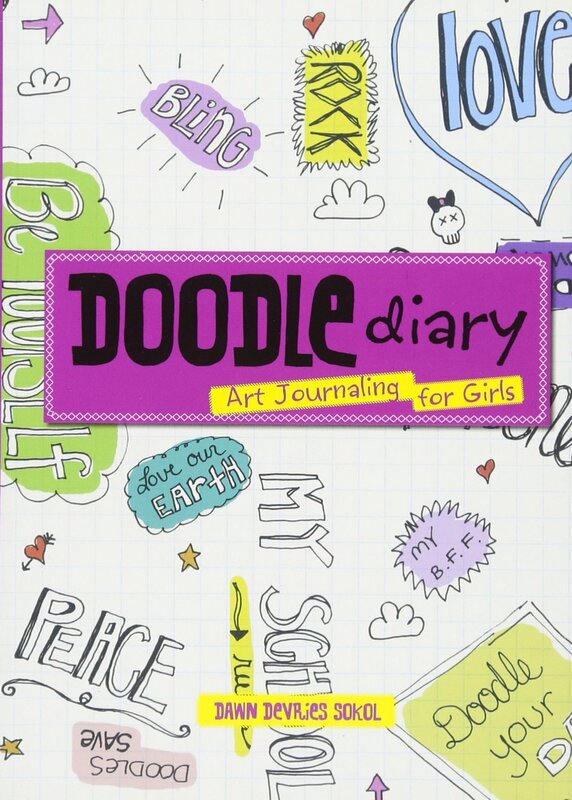 This art diary guide is a perfect gift for younger teens interested in art and journaling. Colorfully illustrated, this diary guide offers valuable tips and instructions for creative teenager journal keepers. Undoubtedly, one of the best teenage girl gifts for birthday! Do you know a teenager who is still trying to figure out what to do with their life? Well, this smart guide might be a perfect gift for them. 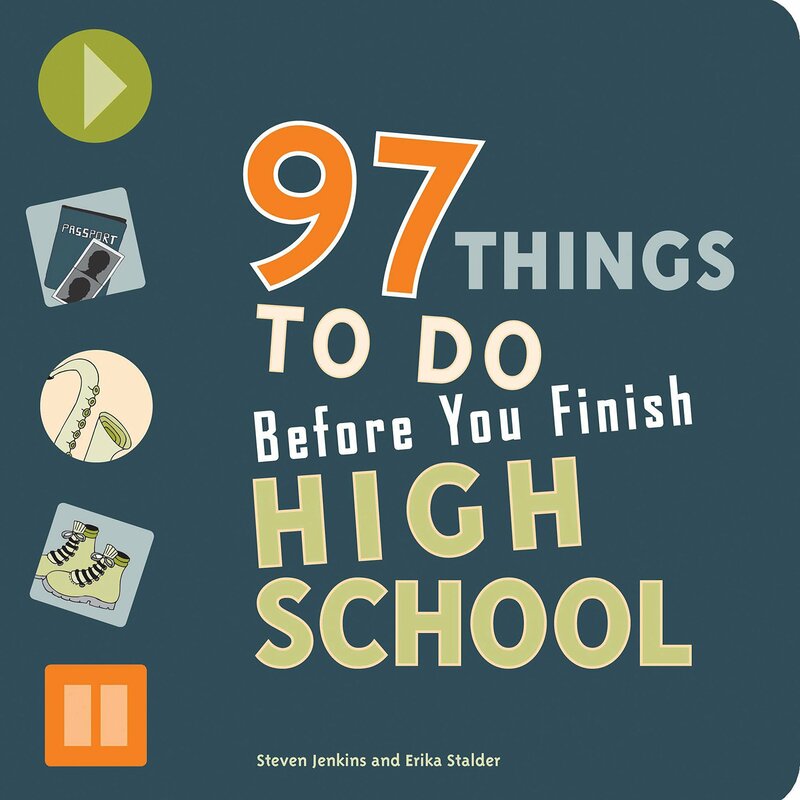 Fun and cleverly written, it offers almost 100 tips on must-do things that will help them outline their goals for the future. Even more, they can help teenagers learn more about their own interests and goals in the here and now. Apart from the list of suggestions, the guide also offers advice on how to make them work. Definitely worth considering to make it your teenage girls’ gift! This is a great gift for the fashion-conscious teen girls out there. Love for accessories in general and bags, in particular, doesn’t start during the teenage years. However, adolescence is when young girls develop their own style and taste. 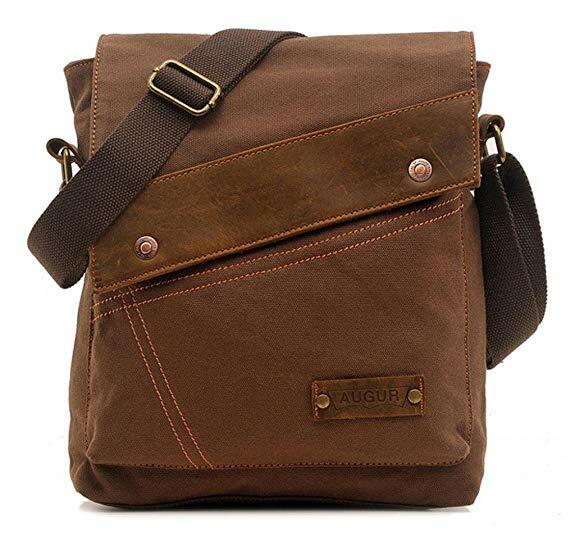 This trendy canvas messenger bag with its grunge vintage charm will become an eye-catching and extremely useful accessory. Plenty of space for all essentials (including that tablet), dramatic design, and durability make it a great choice as a gift! What’s the best time to introduce a girl to the world of makeup? That’s right, teen years is a perfect time. There’s no denying how important it is for a young girl to learn about all kinds of makeup and how to use them. Besides, it’s no secret that many teenage girls become obsessed with beauty products as soon as they get acquainted with them. 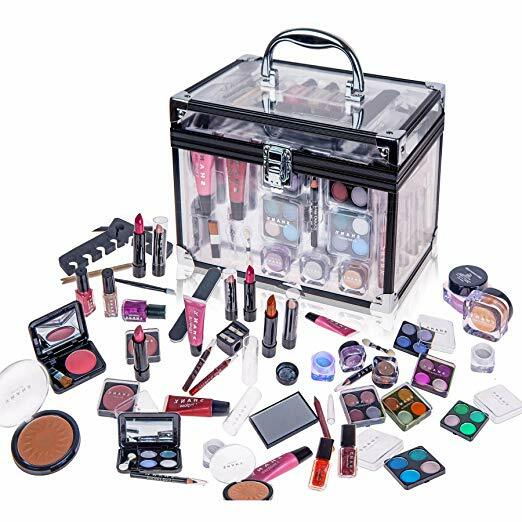 This is why this makeup starter kit will be such a desired birthday or holiday present for a teen girl. Over 20 beauty products and over 10 accessories – everything they need and even more! Studio Ghibli’s My Neighbor Totoro is insanely popular all over the world. In fact, it’s so popular it’s become the studio’s logo image. No wonder lots and lots of teenagers love the animated movie’s cute eponymous character. 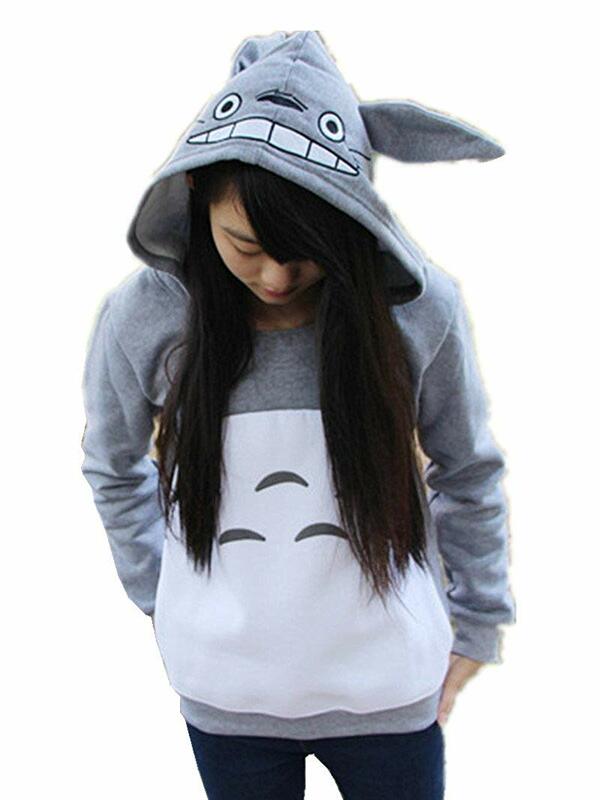 If you happen to know a teenager who is in love with the Miyazaki’s masterpiece, this fun sweatshirt will become one of the most awesome gifts for teenage girls! Just look at how cute it is: that teenage girl in your life will be absolutely delighted to get it! Are there any teenage girls in your life who are in love with mermaids and unusual things? Then here’s just the thing they need! Soft, warm, and snuggly, this blanket will keep her nice and cozy. 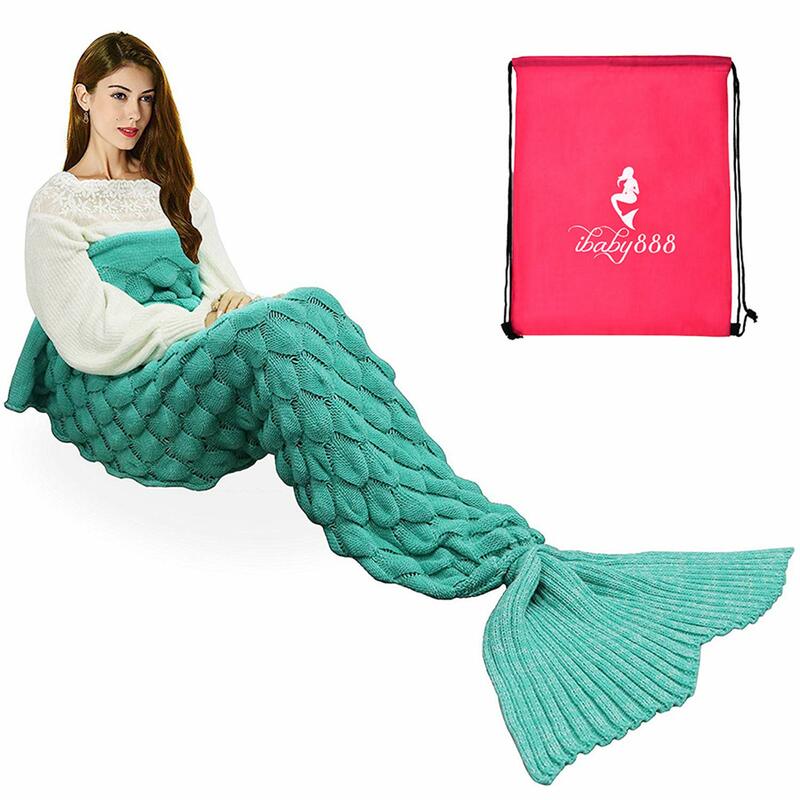 Besides, what will ever help her imagine herself as a mermaid better than this blanket? Hand-crocheted, it will make a truly unique gift for a birthday, holiday, or any other occasion (or lack thereof). Girls love jewelry. 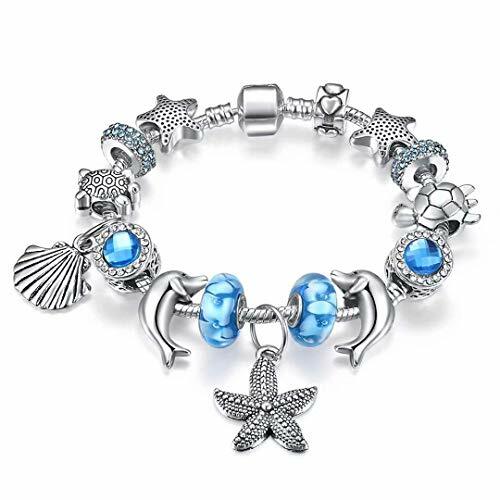 So understandably, jewelry becomes one of the first options to consider when you are looking for gifts for teenage girls. However, there is jewelry and jewelry. While some pieces may seem bland and uninspired, others invoke precious memories. This sweet charm bracelet can become of the latter category! Exquisite and feminine, it can remind that teenage girl in your life of great seaside memories. Or, if she is an avid sea lover, emphasize this side of her personality. 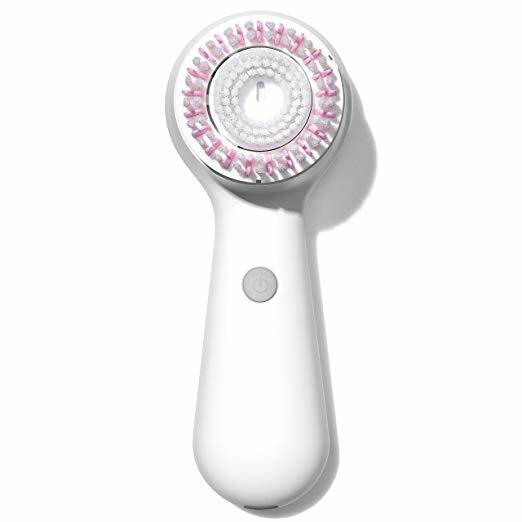 If you are looking for some truly useful gifts for teenage girls, consider getting this electric facial cleansing brush. Every teenager has to deal with adolescent skin problems, and sometimes it gets really frustrating. Unsurprisingly, teenage girls are especially worried about the state of their skin. This brush will help them cleanse and gently exfoliate their faces to keep it ever radiant and healthy. Say what you will, but teenage girls deeply care about the way they look. So all kinds of beauty products, makeup, and all that jazz would always be the bst gifts for teenage girls. However, there’s one more thing you have to keep in mind. Hair. 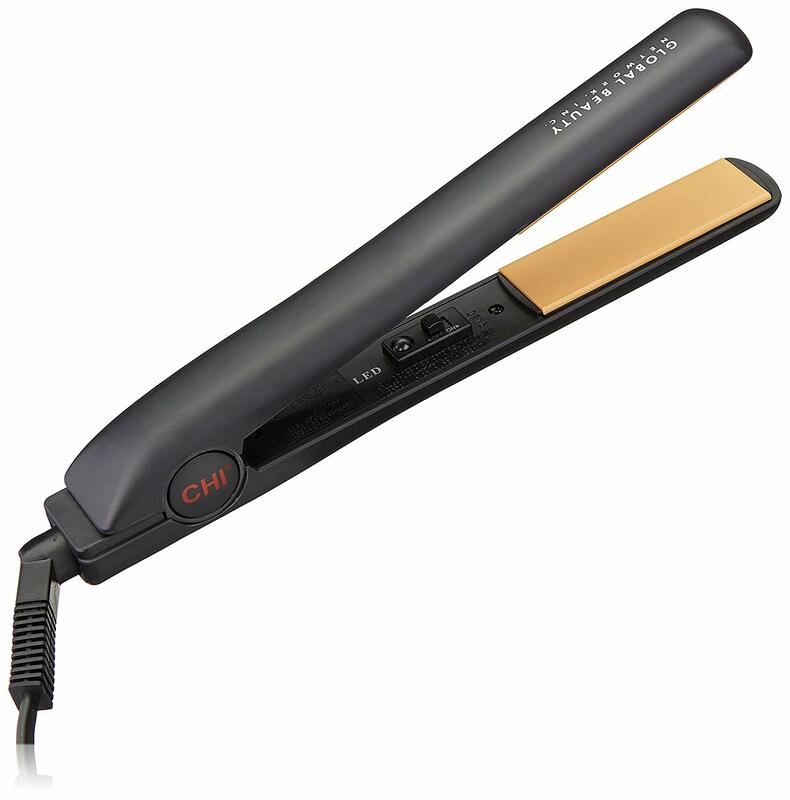 Just for that perfect look with shiny straight tresses or dramatic waves, this hair iron makes every day is a good hair day. So make that teenage beauty queen really happy with this flat iron; there will be no end to her delight. One thing all teenage girls love doing is hanging out with their friends. 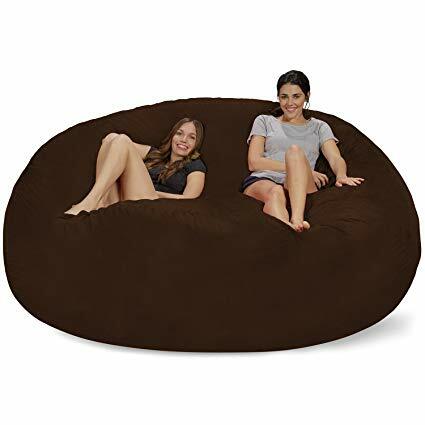 And one thing that’s great for exactly that purpose is this bean bag chair. Large and incredibly soft, it will easily accommodate not one, but a few teenage girls for fun pastime and friendly chit-chat. A perfect and incredibly comfy solution for your teen girl’s room! Filled with memory foam, it will keep its shape at all times and will always be reliable and durable. Totally one of the comfiest gifts for teenage girls out there! Teenage girls love gadgets, no exception. 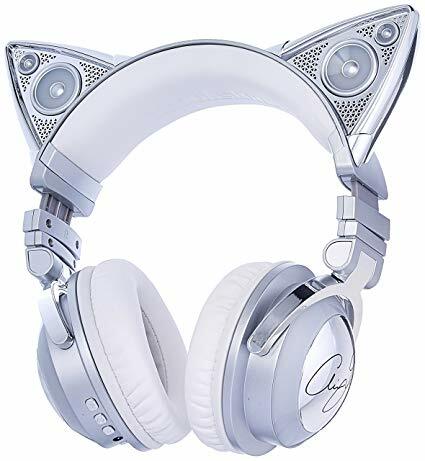 However, these awesome cat ear headphones are so much more than just a gadget. Stylish, unique looking, envy-inducing, they will make heads turn! No wire and no need to use batteries. These headphones can be easily charged via USB and she can take them with her, wherever she goes. The fact that they have external speakers and work with all devices that have a built-in Bluetooth technology doesn’t hurt at all. Even more, there’s an Ariana Grande personal signature on one of the phones. How cool is that? So here’s our brief teen girl gift guide. Of course, when it comes to gifts for teenage girls, options are endless. So what you’ve read above is more broad strokes and general suggestions than a comprehensive list. Use our tips and find unique gifts that will be special for that particular teenage girl in your life. Bring that happy smile to her face. After all, this is what good gifts are about!